How do you get through sick days? With Spring just around the corner, I thought that maybe maybe maybe we would be the lucky ones who made it through winter without getting sick. Wishful thinking! My oldest came down with a fever the other day and we’ve been holed up at home, gathering our energy and drinking lots of fluids. 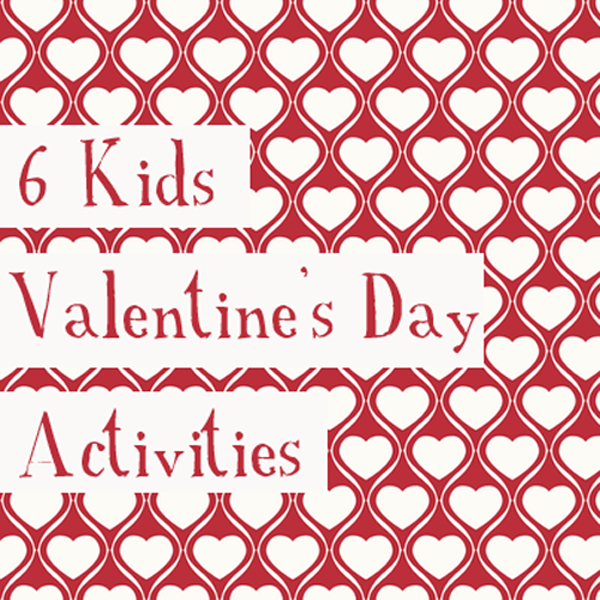 I have an arsenal of indoor activity ideas, but to be stuck inside all day long…that’s another story. Lots of tea, patience, and cuddles are in top order. There was a break in the day when we felt a little better. So we threw on our rainboots for some puddle stomping. Fresh air always helps, doesn’t it? 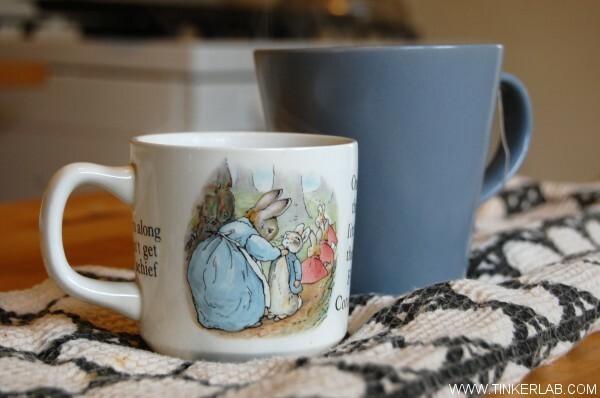 The other day I fell in love with this article on Little Stories called How to Pretend.The idea that really stuck with me was about acting out books to bring them to life. To pull this off, I found a big box of stuffed animals in our closet — little friends that we haven’t seen in ages. That alone was thrilling to my kids. 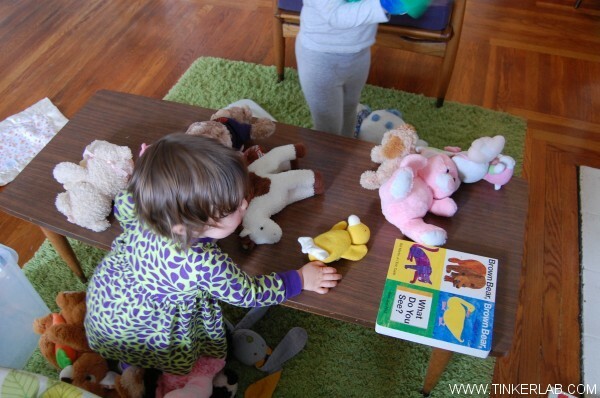 And then we picked out a few favorite books with animal characters that we could bring to life with our toys and puppets. I envisioned that I would lead a puppet show of sorts while reading the books, sort of like a librarian or preschool teacher telling a story through a felt board. But my 3 year old wanted to enact the roles while I read. I live for these moments that surprise. Brown Bear, Brown Bear, What Do You See? (affiliate) was especially good for putting all of our toys to work. We don’t have a cat stuffed animal, but my kids were happy to substitute bunny. They really loved this and I’m sure we’ll do it again on our healthy days too. It looks like we’re home for one more day, just to be safe. I have a fun Saint Paddy’s Day photo booth invitation set up, but not too many more ideas. 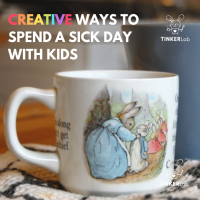 What do you like to do with your kids on sick days? 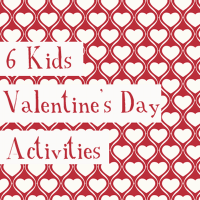 How do you keep them happily engaged indoors all day long? 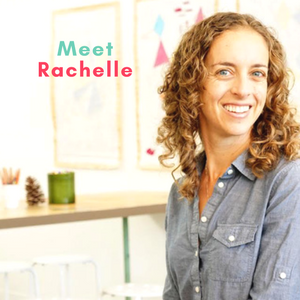 I was interviewed in this article, Screen-free Alternatives for Sick Days, at The Washington Post, where I share simple and engaging ideas (that don’t take tons of energy) such as playing with play dough, creating with stickers, making tape roads, and playing with a sensory bin. Click over for more ideas. 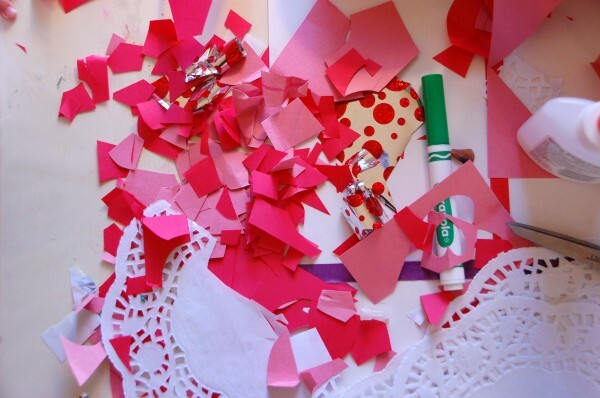 We’ve been crafting up a Valentine’s storm, which mostly means that three-year old N has been collaging all our self-serve bits and bobs of Valentine goodness into a taped-up, glued, and spackled hodge podge of Valentine craziness. In other words, we’ve been having fun, but it’s not something anyone else would likely take inspiration from or worth blogging about! 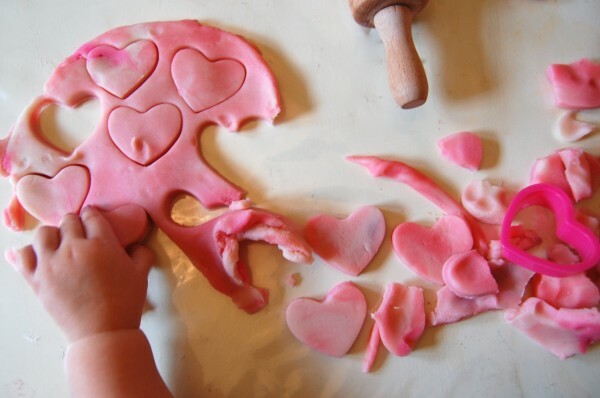 That said, we have been playing with an amazing batch of Valentine play dough that’s always good for open-ended exploration and imagination-building. 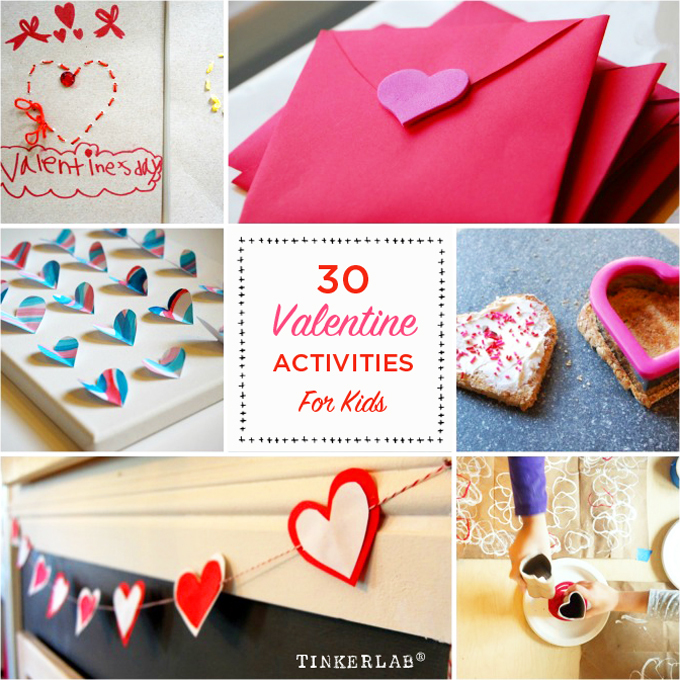 And, for my 1.5 year old, it’s great for hand-eye coordination and fine-motor skill development. Food coloring or liquid watercolors. 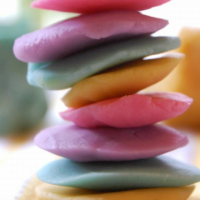 I really like Wilton Icing Colors or Liquid Watercolors (from Discount School Supply), which make gorgeous shades of play dough to match any occasion, mood, or toddler request. 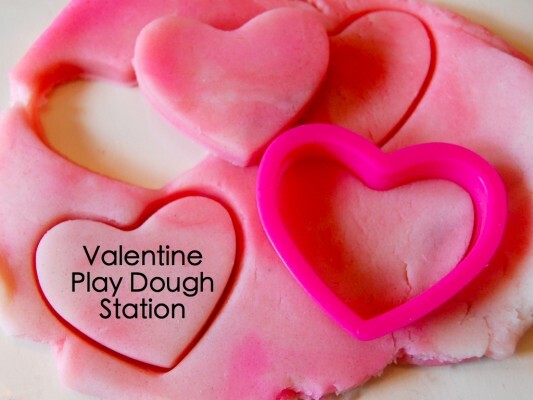 For our Valentine Play Dough Station, I made a batch of white dough and a batch of dark pink, and then the kids helped me loosely mix them together to make this fun, mottled Valentine concoction. Oh, and we added peppermint oil to the mix to give it a nice, fresh smell. This would be perfect for Christmas too…something to keep in mind for later. I gave my kids a new set of heart-shaped cookie cutters, which proved to be too difficult for my little one to effectively use on her own. But that didn’t stop her from trying! I cut a few shapes for her, which she really enjoyed pulling out of the dough and then breaking into three or four pieces. 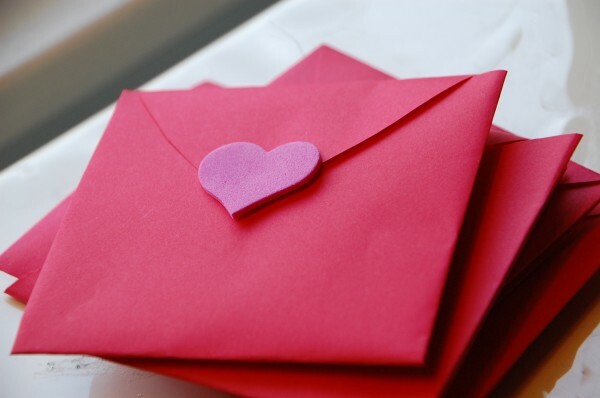 Some of the hearts were too challenging for her to pull out on her own, so I’d break the dough walls, which helped her remove the hearts somewhat intact. She also enjoyed playing with the rolling pin and practiced rolling snakes. I was recently asked which of our art materials is absolutely indispensable, and while there are many, play dough is one of those materials that appeals to a wide variety of ages because the threshold is so low. Very young children know exactly what to do with it, and as children get older their ability to manipulate it and use it for imaginative play grows along with them. 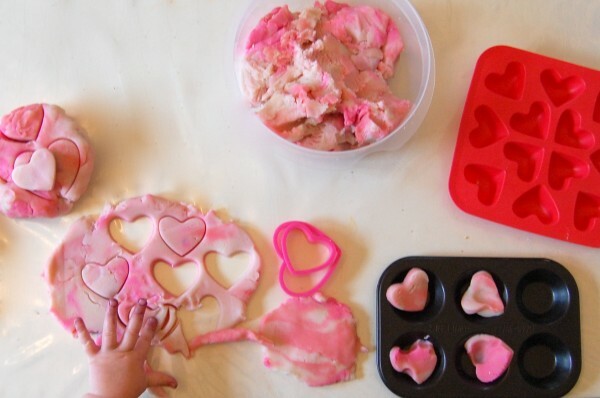 Play dough, I love you…Happy Valentine’s Day! 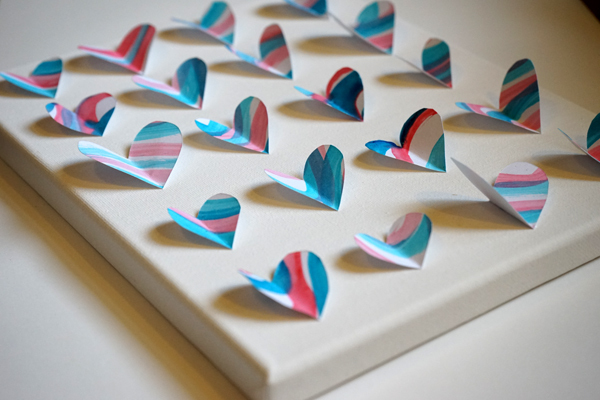 Interested in more Tinkerlab-style Valentines? 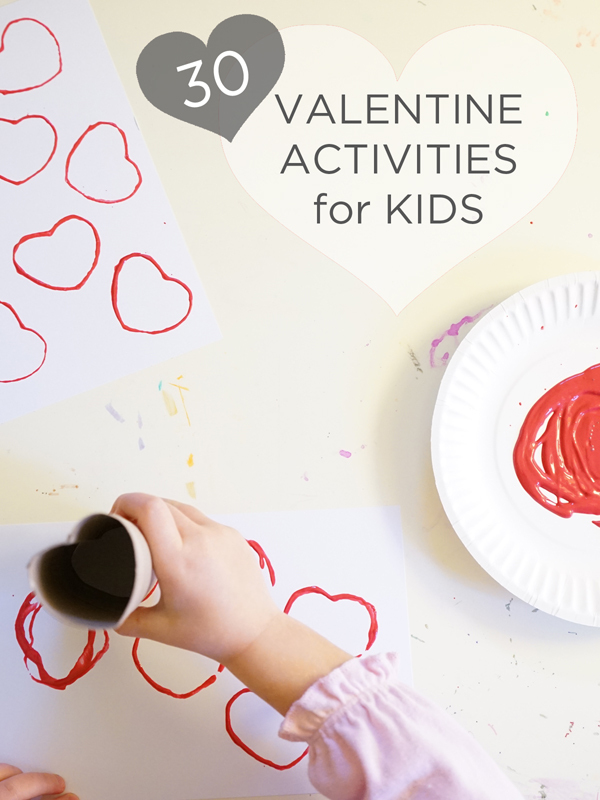 This mother-lode of Valentine activities for kids (toddlers, preschoolers, and any other hands-on kids) covers everything from cards to treats. 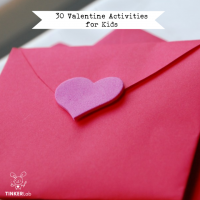 With 30 Valentine activities for kids here, this should keep us all busy until St. Patrick’s Day! 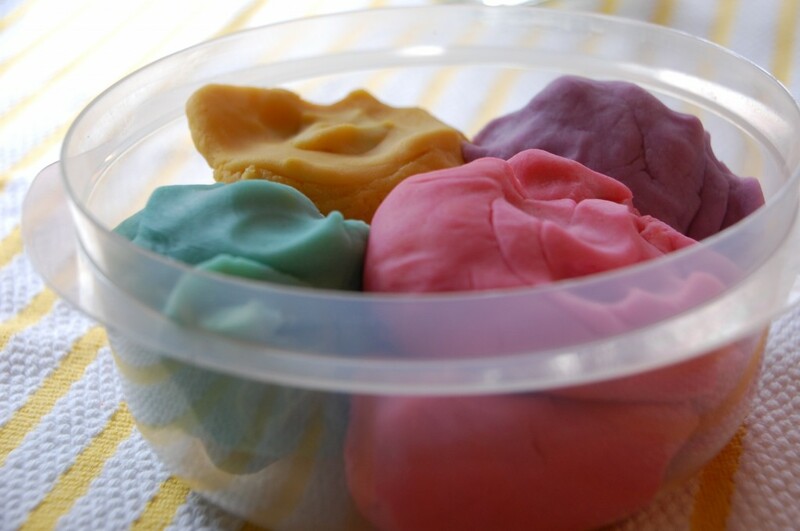 At TinkerLab, we love making playdough, and today we’re sharing what is easily the BEST playdough recipe ever. I’ve been making this recipe for over seven years, and haven’t looked back since. 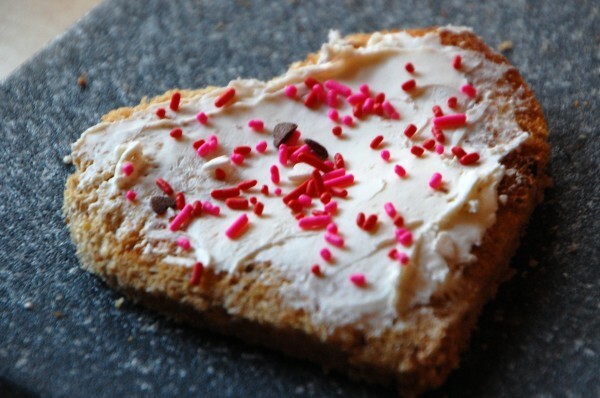 The recipe was handed down to me by a preschool teacher, and it can’t be beat. I’m so confident about this recipe, in fact, that there’s a copy of it in my best-selling book, Tinkerlab: A Hands-on Guide for Little Inventors. It’s inexpensive. Compare it to store bought dough and you are saving loads of cash. The texture is divine. It’s soft, pliable, and fun to work with. 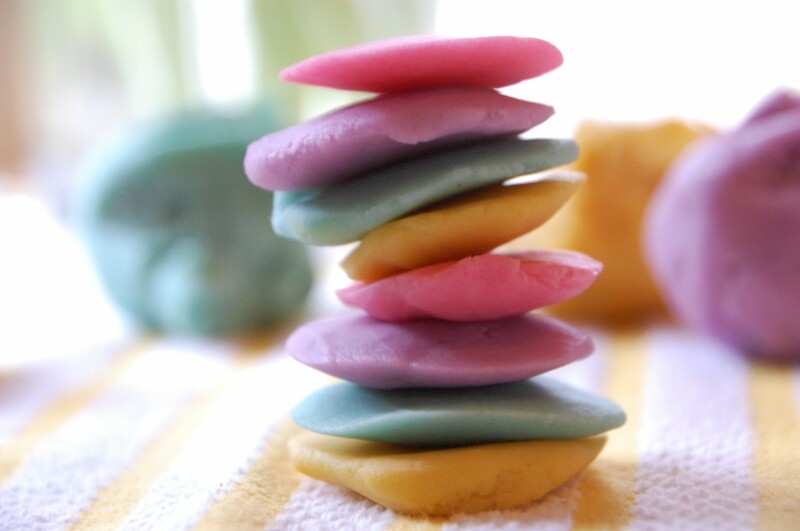 The way I have always made playdough requires that I add the color to the whole batch while it’s cooking, making it difficult to make multiple colors. But by some lucky, happy accident we managed to add the ingredients in the wrong order, which is no doubt the result of making dough with a two year old while chatting with my mother-in-law and goo-gooing at my baby! But, as that same luck would have it, I think we landed on the best playdough recipe yet. The texture is buttery and I was able to deliver on the multiple colors request. And this ingredient, my friends, is the secret to having strong, smooth playdough that won’t crumble. Food coloring or liquid watercolors. I’m a fan Sax Concentrated Liquid Watercolors and Wilton Icing Colors, which make gorgeous shades of play dough to match any occasion, mood, or toddler request. Cook the dough over a low heat. Mix frequently. The water will slowly cook out of the mixture and you’ll notice it starts to take on a sticky dough appearance. Keep mixing until the edges of the dough along the side and bottom of the pan appear dry. Pinch a piece of dough. If it’s not gooey, the dough is ready. 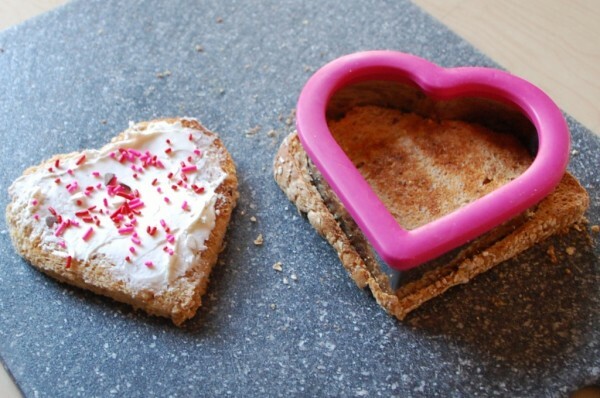 Place the dough on a counter top or large cutting board that can withstand a little food coloring. Knead the warm dough until it’s smooth and then divide it into the number of colors that you’d like to make. I divided mine into four balls, flattened each of them, added a little bit of food coloring or liquid watercolors, and then kneaded it in. I added more food coloring to get the desired shades of yellow, pink, teal, and lavender. 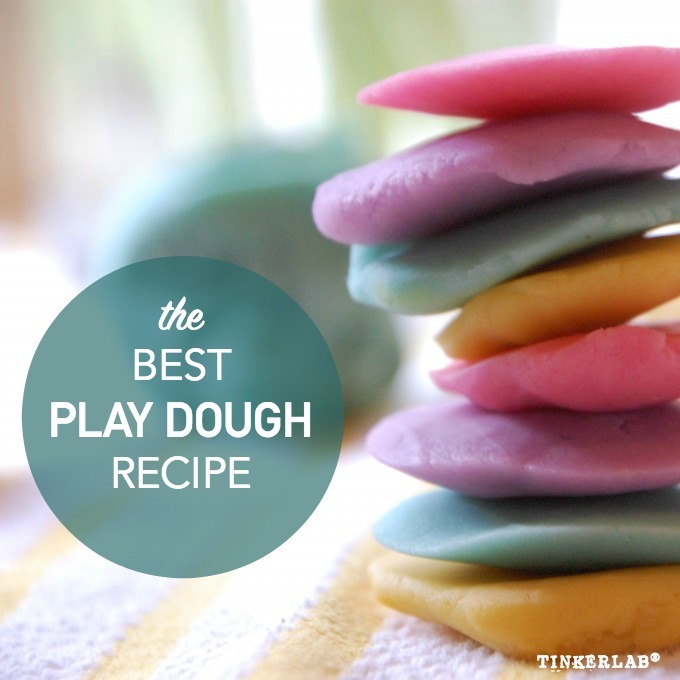 Play with the dough right away or store it in a large Ziplock bag or sealed container. Unused, it’ll keep for months. 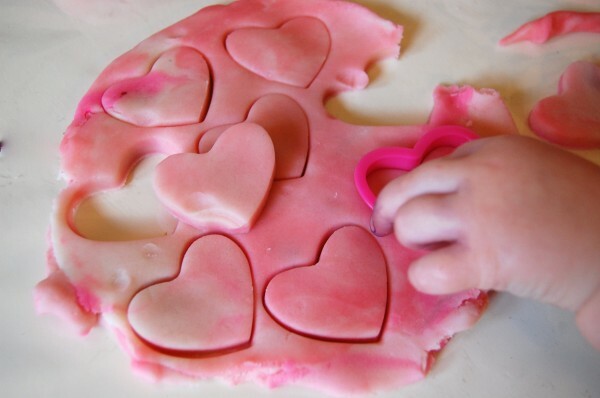 For play dough tool ideas, you can read this post. 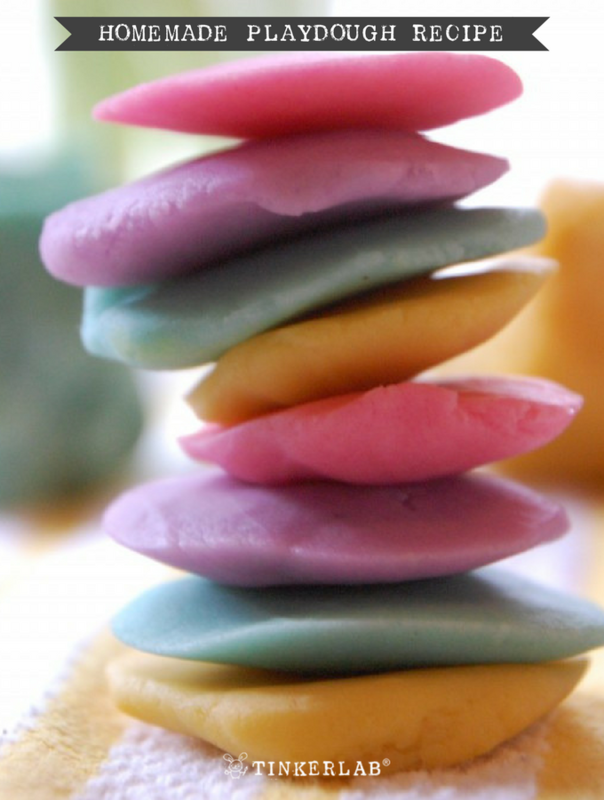 There you have it, rainbow play dough (aka the best playdough recipe ever). I’ve been making this dough for a few years now without too many changes. 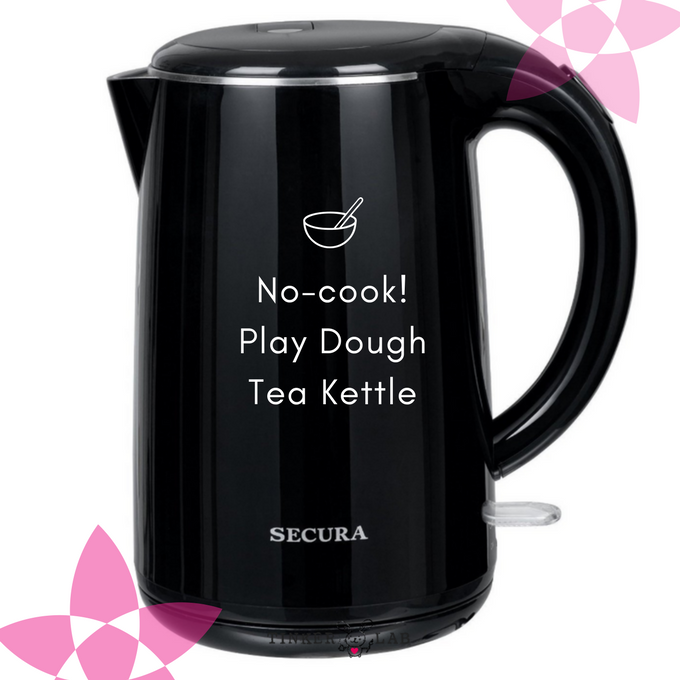 After investing in this amazing BPA-free electric kettle, I was wondering if I could make this playdough off the stove top. So I did some experimenting, and low and behold — this recipe can be even easier and still the amazing dough that we all love. 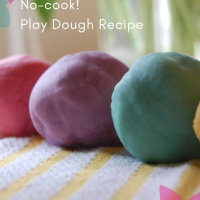 Here you go: No-Cook Playdough recipe. How to Make Cloud Dough, the easiest dough recipe that calls for oil and flour. 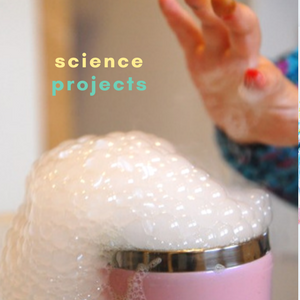 How to Make Goop with just cornstarch and water. Make amazing scented pumpkin spice playdough. How to make Salt Dough with just salt, flour, and water. 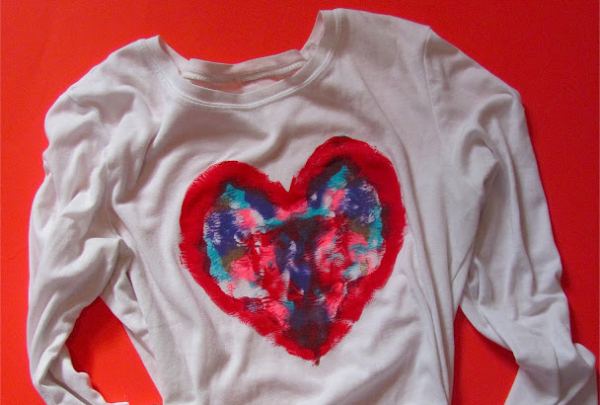 What Else Can you do with Liquid Watercolors? Oh what fun! When the holiday season gets a little bit too busy, I like to retreat with a hot cup of tea, cozy socks, and a juicy magazine. And when it comes to crafting, I try to keep things super simple so my mind doesn’t feel that intense overwhelm that can come with doing too much. 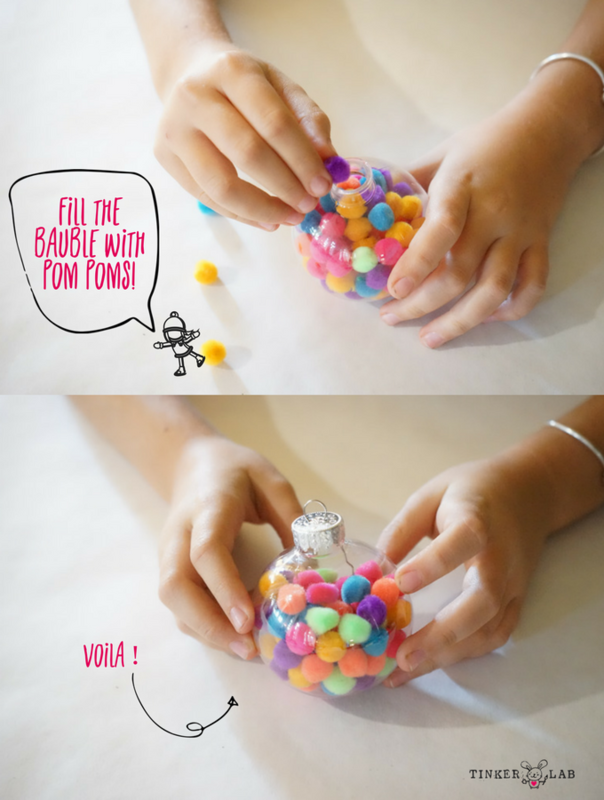 In that spirit, this Pom Pom Christmas Ornament Bauble has got to be one of the easiest ornament crafts around. 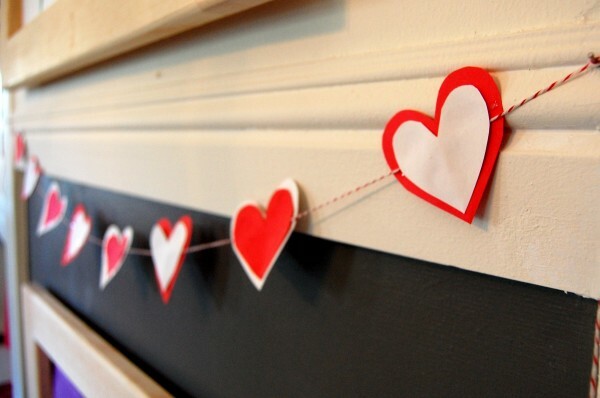 To set this up requires little effort, and the result is charming. 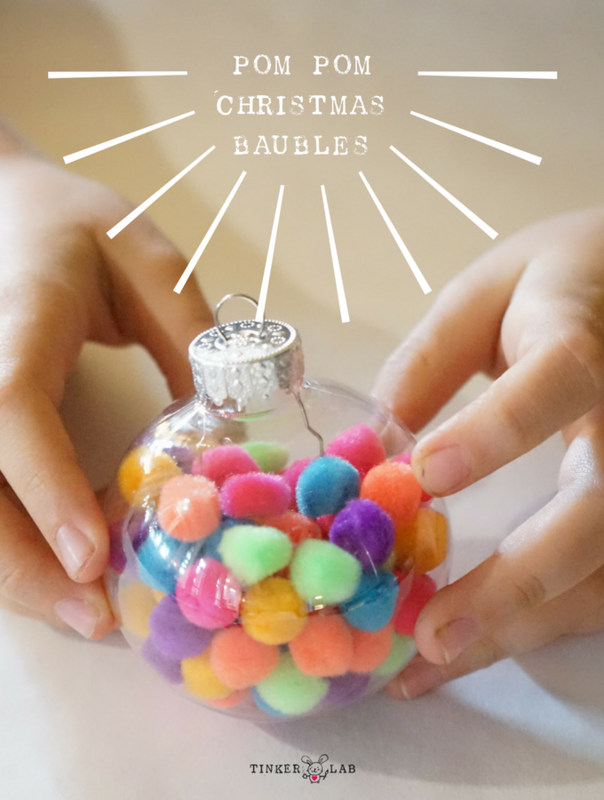 Clear plastic ornament balls like these. 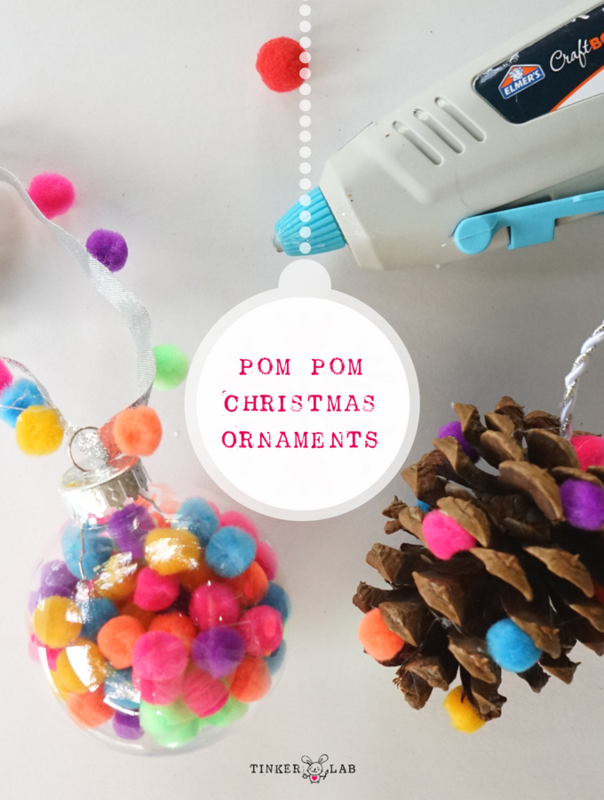 Clear the table and set up a bowl of pom poms, a few clear ornament balls, ribbon, and the low-heat glue gun. 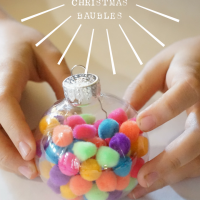 Invite your child to create an ornament. 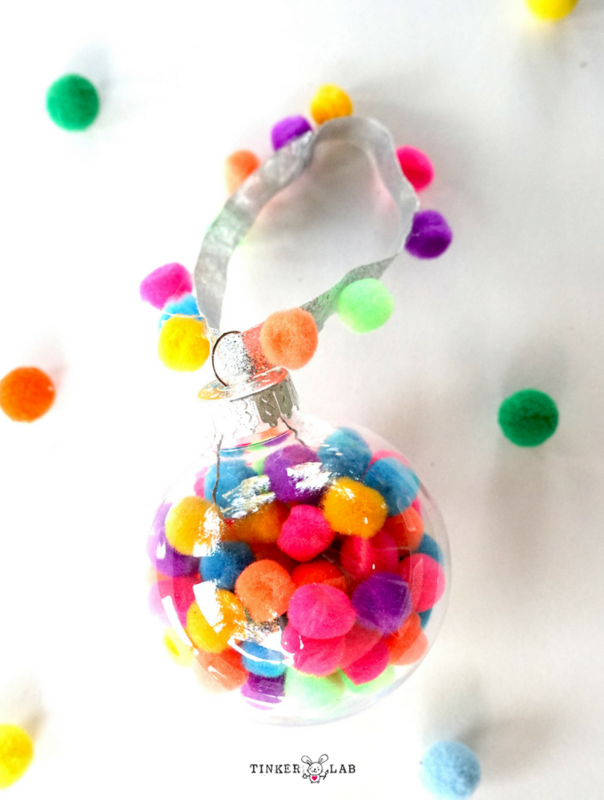 Fill the ornament with pom poms. Tie a ribbon around the top loop. 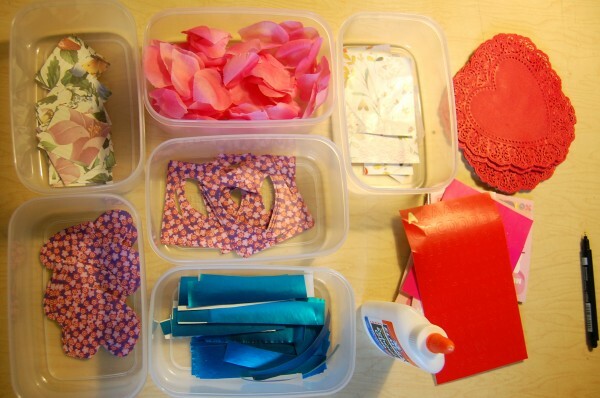 Add pom poms to the ribbon with the glue gun. Sometimes kids will come up with their own ideas that stretch outside the bounds of what you may have in mind. 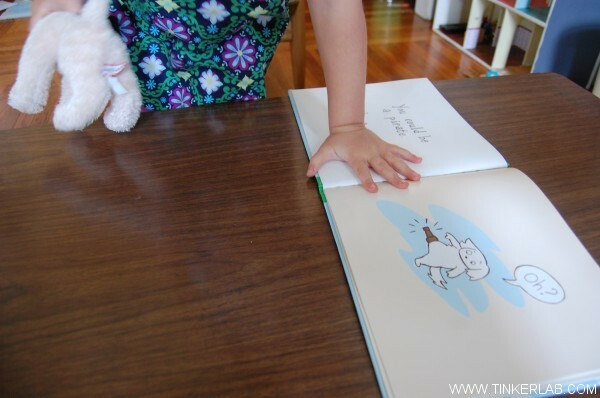 I love these moments and encourage them as they help children develop their independence and imagination. 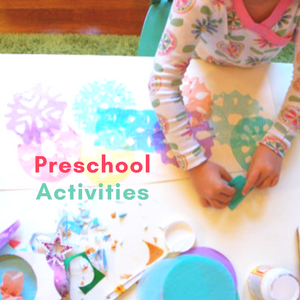 If your child wants to add sequins or buttons instead of pom poms, or wants to fill the ball with glitter, be open to the possibility that your child may come up with his or her own ideas. 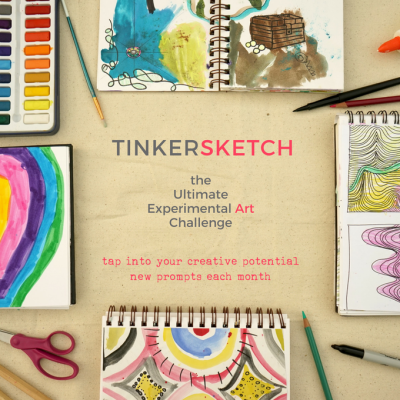 This is a great opportunity for playful crafting. 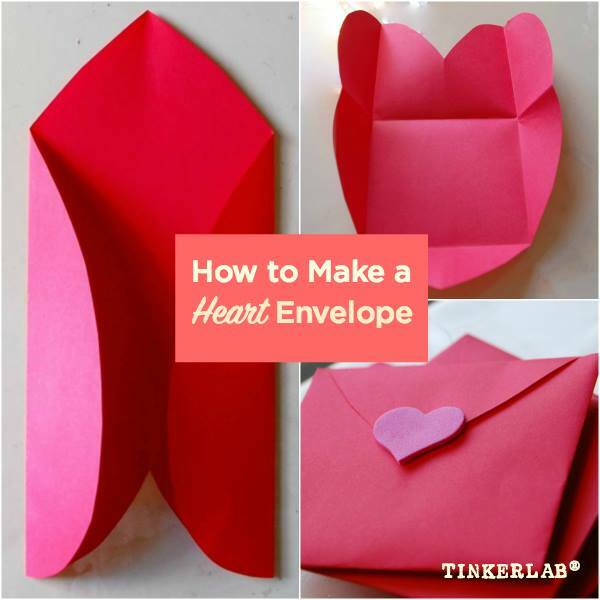 Encourage creativity and imagination! Salt Dough Ornaments. These are gorgeous and last for multiple seasons. Stacked Felt Ornaments that teach sewing basics. DIY Fabric Ornaments, beginning sewing project. 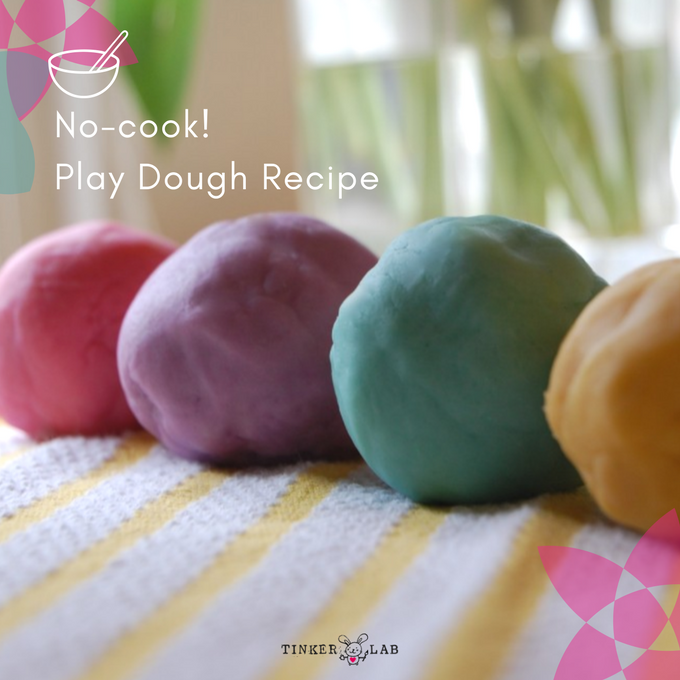 Would you like to make the best no cook playdough? One that will last for months and doesn’t require stovetop preparation? 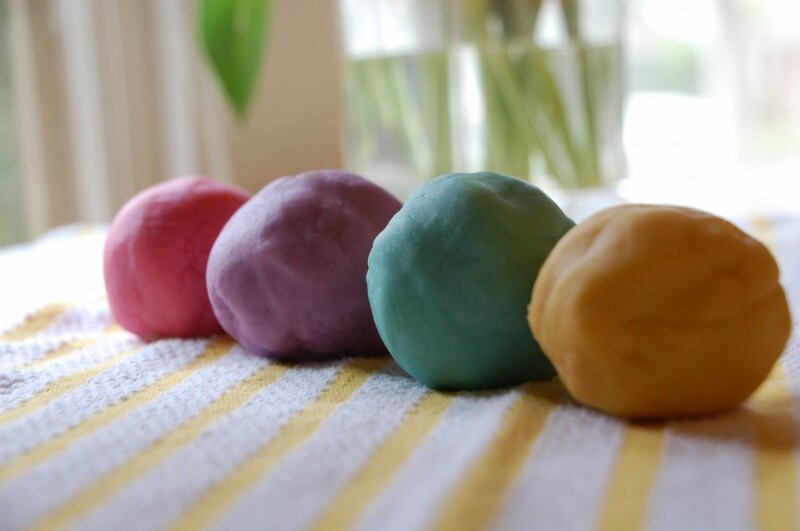 After making what I consider the best play dough recipe for a few years now without too many changes, I wanted to see if we could get the same results without using the stove. I love drinking tea, and invested in an amazing BPA-free electric kettle, which seemed to be just the tool to take this play dough recipe off the stove top. Add the wet ingredients to the dry ingredients and mix until the dough comes together.